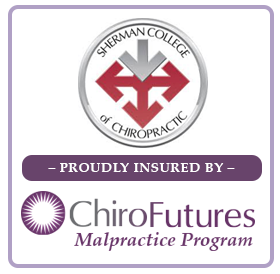 ChiroFutures Malpractice Program | Securing the Future. Managing Your Risk. You do not want to focus on the negative, and dealing with malpractice insurance and risk can be negative. We offer a partnership approach to our members, designed to focus on your practice needs, and to deliver an optimal patient experience. At ChiroFutures, we will bring a different experience than you have had with your malpractice insurer in the past. Beyond providing a quality, comprehensive, competitive malpractice liability policy, we will proactively assist you with tools and ideas to help minimize the inherent risks of growing your practice. 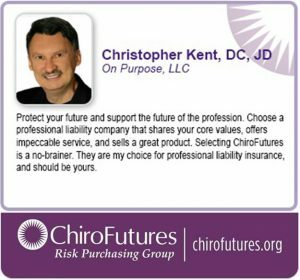 ChiroFutures Co-Founders – Anthony Carrino, DC, FICPA and Matthew McCoy DC, MPH, both chiropractors for over 28 years, have unmatched experience serving as consultants and expert witnesses defending chiropractors in malpractice cases and regulatory board actions throughout their careers. In our combined careers, we have developed insight from the toughest malpractice cases. We have had the experience of working with chiropractors hand in hand through the nightmares that occur when patients are unhappy. ChiroFutures commitment is to share our seasoned experience with you. This will assure that you are not only protected by a financially strong carrier and broad coverages, but can grow a busy practice full of happy patients. Please take some time to explore ChiroFutures. We look forward to partnering with you and your practice. Click the image or this LINK. 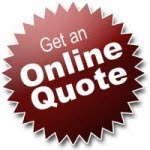 Our Online Quote Inquiry is a convenient way for you to secure a premium indication for your malpractice coverage with ChiroFutures. A bindable proposal and premium quotation can only be received after we receive your completed application. If you wish to save time by submitting an application now, please download an application and submit it to our office via fax or email.